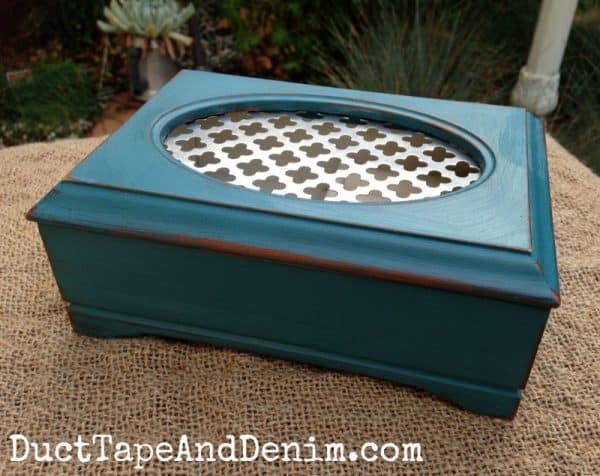 Jewelry Box Makeovers - 16 Thrift Store Makeovers That Will Make You Want to Paint! 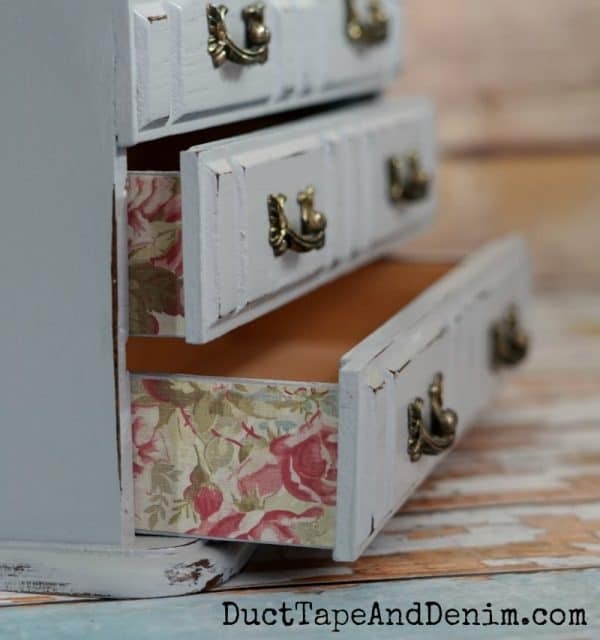 16 Thrift Store Jewelry Box Makeovers that will Make You Want to Pull Out the Paintbrush! 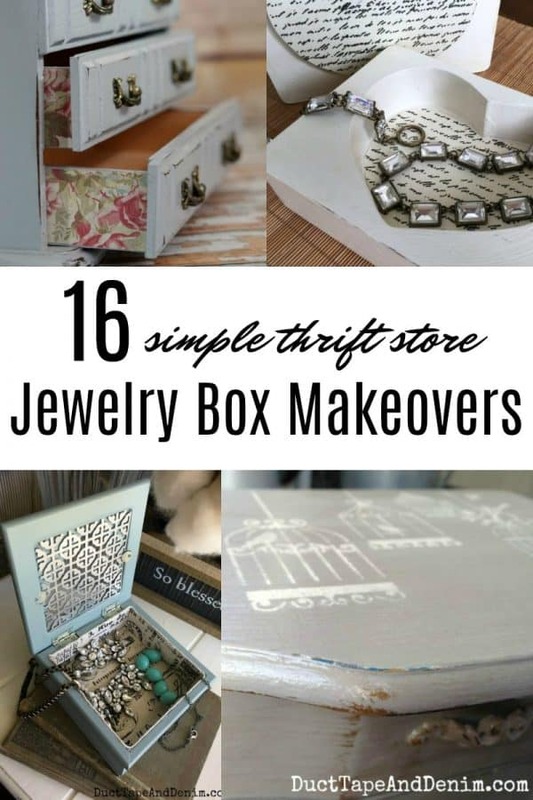 A few weeks ago I shared my 35 thrift store jewelry cabinet makeovers. 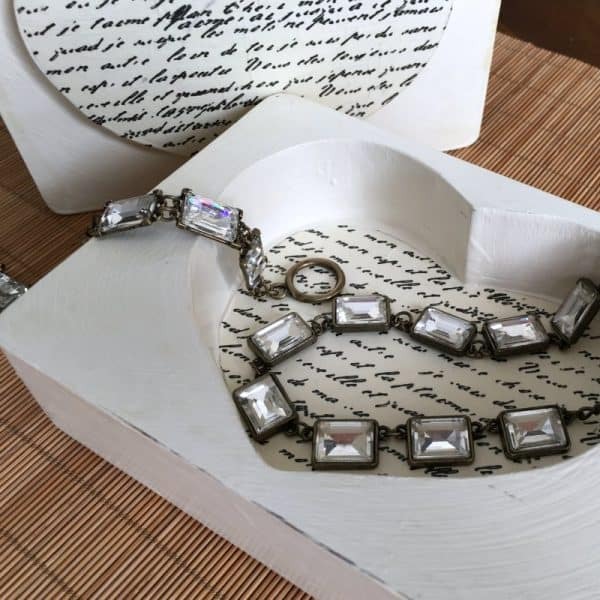 I had never counted how many jewelry box makeovers I’d done either. Turns out I’ve done 16… at least that I’ve shared on the blog. I haven’t been doing them as long because at first I thought they were too boring to bother with! 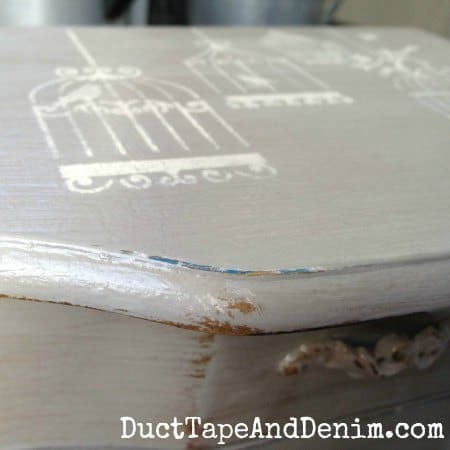 lol… I’ve changed my mind now and I’m constantly looking for new painting techniques and products to give these old jewelry boxes a new look. 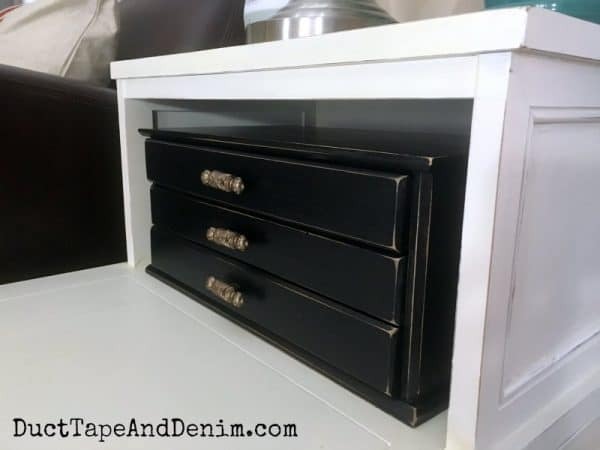 If you want to learn more about creating these finishes, either click on the title of the project below or go to my Ultimate Guide to DIY Jewelry Box Makeovers. I stepped WAY out of my comfort zone on this DIY project. But it is one of my favorites. I got to pretend like I was a real artist… with paint palette knives and everything! 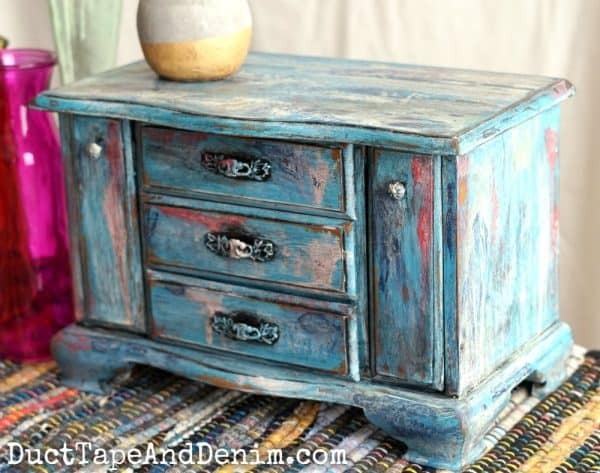 This one is more my traditional style… a little distressed but with a surprise when the drawers are pulled out. Somehow painting something with black paint just makes it look more elegant. This was a fun thrift store makeover. I got to pull out the decoupage medium for this one to make a heart jewelry box even more romantic. 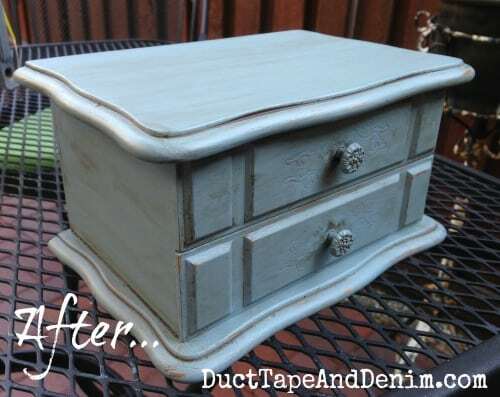 This was one of my first jewelry box makeovers. 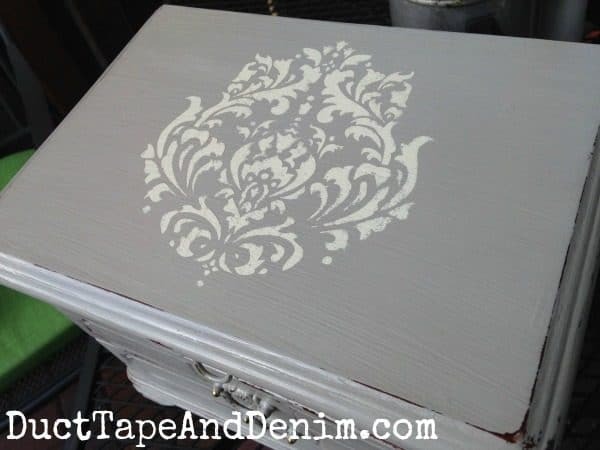 Until I started stenciling I thought that jewelry boxes were just too boring. I’ve also ventured out into men’s valets, too. 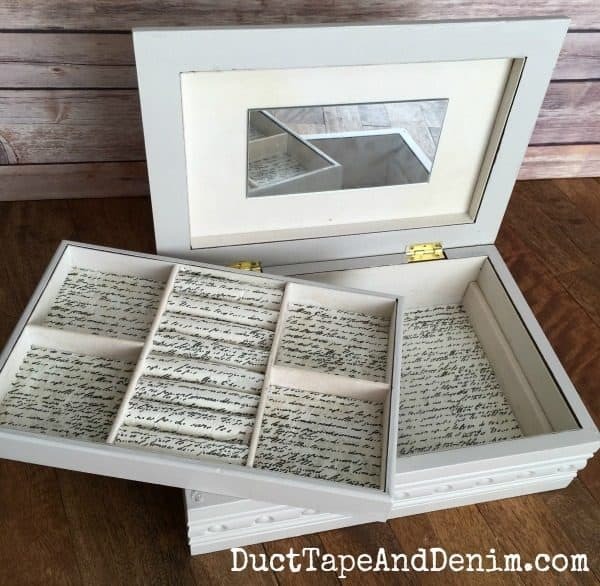 I consider them jewelry boxes so, at least for now, I’ll include them in this list. I loved the nautical look of this man’s valet. 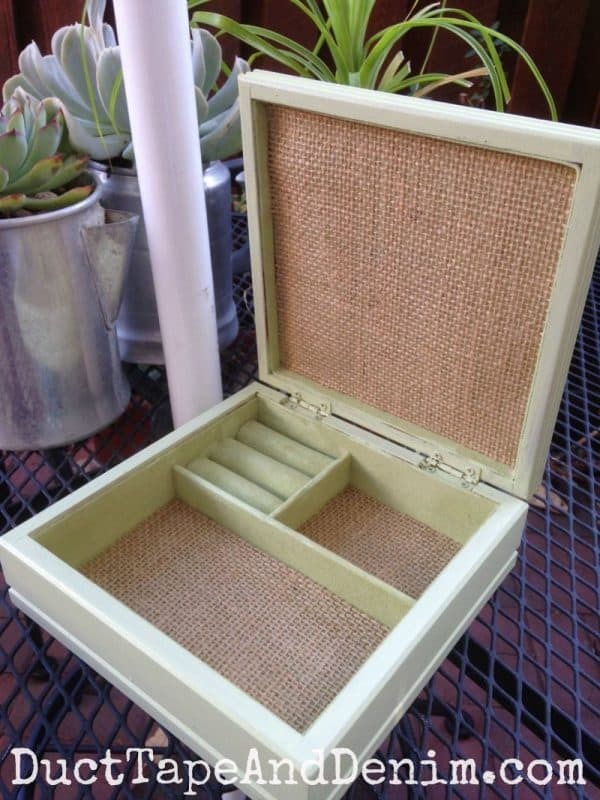 Here’s another men’s valet / jewelry box for men makeover. Simple and useful… plus, it played music! Those heart jewelry boxes are just so romantic! This was an easy project, too. 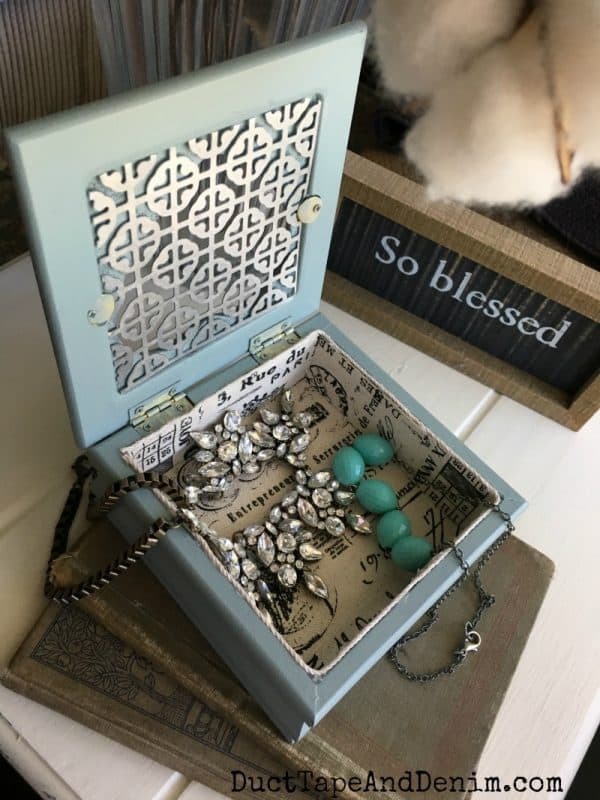 Most of my jewelry boxes get painted white or gray. But every now and then I venture out to something new. 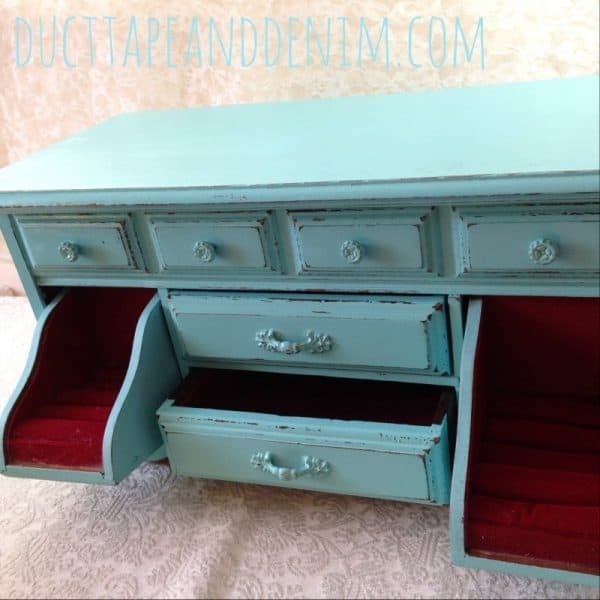 I ended up loving this teal chalk paint! This was the jewelry box that got me excited about painting them again. Like I said, I usually passed on jewelry boxes but this one was only $1.99 so I took a chance. This project actually included 2 little jewelry boxes that gave me a heap of trouble for their size! See how I dealt with their little issues. This was a simple project where I tried out a new brand of paint with a little glaze. Can you tell that I like blue? I don’t even let stained insides detour me from jewelry boxes now! This is a great way to deal with that problem. I have to say… I think turquoise is STILL my favorite color. And I love how this looked with the red felt inside. 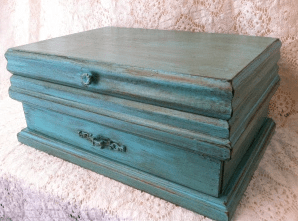 My First Jewelry Box Makeover! 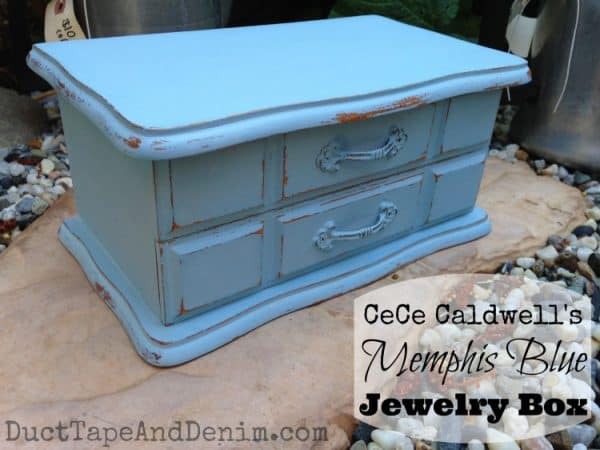 This is actually the first jewelry box makeover on my blog. First published back in 2013. That was obviously before I figured out how to take pictures and upload them correctly! 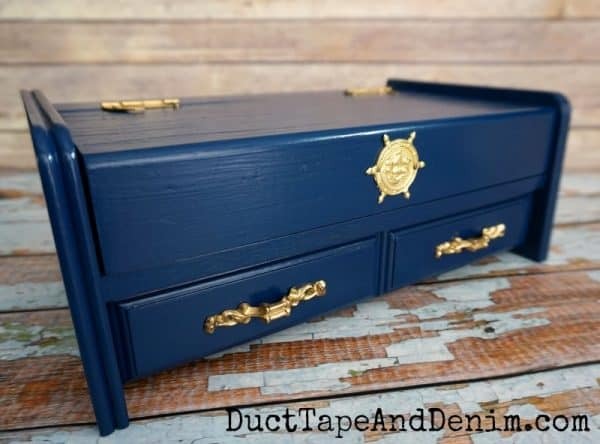 I’d love to see YOUR jewelry box makeovers. 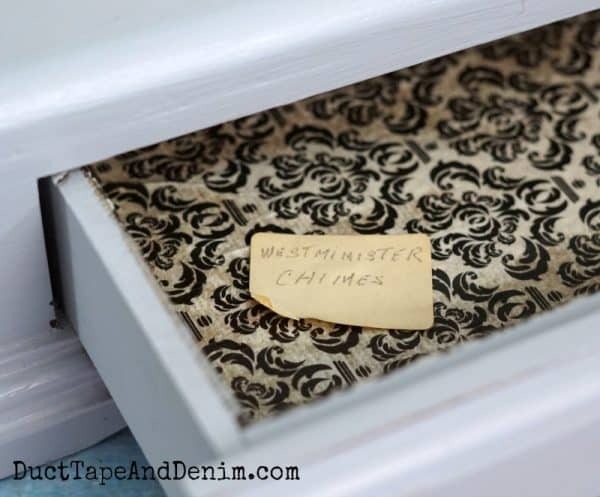 Feel free to join our Thrift Store Makeover Facebook group and share your photos!